The best “sci-fi” movies are about the present...with a twist. This month, the films are about “what might be if...” our world changes in unexpected ways. All films are free and are shown Fridays at 7 PM in the Abbott Room of the Belfast Free Library. Her (2013) What if... you fall in love with your computer? Joaquin Phoenix stars as a lonely writer who buys the latest voice-activated operating system named Samantha (Scarlett Johansson), and finds the ads are right--that “It's not just an operating system, it's a consciousness." 126 min. 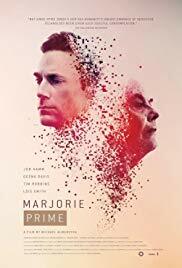 in English, rated R.
Marjorie Prime (2017) What if... our loved ones could come back to comfort us? In the near future 85-year old Marjorie (Lois Smith) is experiencing the first symptoms of Alzheimer’s disease. Her daughter (Geena Davis) and son-in-law (Tim Robbins) hire a service that creates a younger version of her late husband, in order to give her comfort. 98 min. in English. 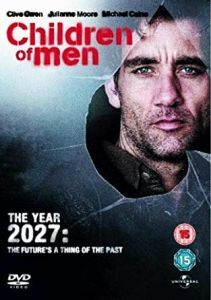 Children of Men (2006) What if... no child has been born for a generation, and suddenly one woman is pregnant? A dystopian tale set in a future London threatened with violence, about the man who is given the task of ensuring the young mother-to-be reaches a safe haven. With Clive Owen, Julianne Moore, Michael Caine, Chiwetel Ejiofor. 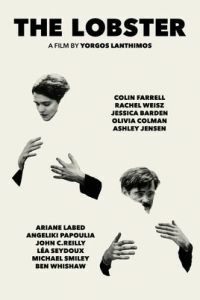 109 min in English, rated R.
The Lobster (2015) What if... you had 45 days to find a romantic human partner before you were turned into the animal of your choice? And your choice is to become a lobster? This is a romance/comedy/drama that provides a satirical answer to the question. 118 min. Rated R. With Colin Farrell, Olivia Colman, Léa Seydoux, John C. Reilly, Rachel Weisz. In English and French, with subtitles.